Nearly 100 years ago, the saga of a territorial dispute began over the Aland Islands in the northern part of the Baltic Sea. The combined land area of the small islands is slightly larger than that of the main island of Okinawa Prefecture. Finland based its sovereignty claim over the Aland Islands on the historical fact that they had been under its control for long periods, while neighboring Sweden pointed to the sentiment among residents of the islands, who spoke Swedish in their daily lives. The sovereignty dispute was submitted to the League of Nations. In June 1921, the League of Nations decided that Finland should retain sovereignty over the islands but they should be made an autonomous, demilitarized and politically neutral region. Inazo Nitobe (1862-1933), a Japanese educator who was an undersecretary general of the league at that time, said the settlement over the Aland Islands will establish a precedent for dealing with future territorial problems that may disturb amicable relations of countries, whether large or small. But the significance of the ruling goes beyond that. National borders, by nature, separate nations from nations, people from people. For the 28,000 residents of the Aland Islands, however, the national border now exists only by name, and it works to link countries and people. The passengers of ferries traveling between the islands and Sweden are not required to carry passports. Seventy percent of young people who have graduated from high school on the islands go on to universities in Sweden. Camilla Gunell, current premier of the autonomous government of Aland, says the economy of the islands benefits from an increase in people who cross the border. The decision by the League of Nations that settled the dispute has helped make the islanders richer, Gunell says. An important undertaking to change the meaning of a national border has been also made in Germany, which faces the southern part of the Baltic Sea. Frankfurt (Oder) is a town located on the German-Polish border, a one-hour train ride from Berlin. Before World War II, the whole region around the town was part of Germany. Following Germany’s defeat in the war, however, the area on the opposite side of the Oder River became Polish territory. Many Germans, driven out of the area that had become part of the Soviet bloc, crossed the Oder River into Germany. An attempt to make the border less of a barrier to exchanges between people of the two countries started in 1970. In that year, Willy Brandt (1913-1992), chancellor of West Germany, visited Poland and other countries in the Soviet bloc and announced his country’s acceptance of the borderline drawn after the war. There was opposition to Brandt’s decision within West Germany, but he made the move to ensure the coexistence and the stability of Western and Eastern Europe. Viadrina European University, on the German side of the Oder River, was established in 1991, after the Cold War ended. The university has started a program to help people visit their hometowns in the former German territory. The project is part of the university’s efforts to accomplish its mission of serving as a bridge between the East and the West in Europe. Under the program, students at the university make necessary arrangements for people’s trips to their hometowns in the Polish side of the Oder River, including finding interpreters. It is an attempt to build links between people living on both sides of the border. These developments in Europe are different from the path that has led to the current situation in East Asia. Last year, tensions flared between Japan and its two neighbors--China and South Korea--over islands. The differences between the governments’ sovereignty claims seem unbridgeable. The conditions are not right for the kind of settlement worked out through diplomatic efforts in which Nitobe was involved. Despite increased interdependence among countries due to economic globalization, territorial disputes in areas around Japan continue to generate acute international tension because of history issues related to World War II. After the end of the war, Germany totally admitted to the war crimes committed by the Nazis. This made it possible for Germany to cooperate with neighboring countries in leading Europe toward regional integration. On various occasions, Japan has also expressed its regret and apologies for its past invasion of neighboring countries. As a result, Japan has managed to obtain an understanding from Southeast Asian nations. But mutual trust between Japan and its close neighbors has been eroded repeatedly by some Japanese politicians’ indiscreet remarks and actions related to history issues. The shift in the balance of power between Japan and China, caused by China’s rise, has also widened the gaps in perceptions of people in both countries. How should we solve the structural problems behind such mutual distrust? There have been a variety of steady, low-profile efforts to tackle this challenge. For example, a discussion forum called “Jing Forum” was created for regular debates between students of the University of Tokyo and Peking University. Every year, around two dozen students from both universities lodge together to discuss a wide range of issues in English. The forum’s seventh debate camp took place last autumn at the height of tensions between Japan and China over the Senkaku Islands, a group of islets in the East China Sea. Still, the participating students chose the Senkaku Islands dispute as a topic for discussions in one of the subcommittees. In Beijing, where anti-Japanese protests were raging, and in Tokyo, the students of the two universities spent two weeks or so examining the claims of both governments and engaged in heated debates. They also listened to the opinions of academics and visited companies. In the end, none of the students totally accepted the arguments of the other side. As they discussed factors related to the educational and media environments where the claims of both countries have been generated, however, some students said they were not convinced of their governments’ arguments in the dispute. In a debriefing session, students stated their own opinions, instead of those of their governments. The 21st century is an age of Asia, where countries like China, India and Indonesia will expand their power and influence. We should never allow the region to return to an era of military confrontation. The countries in the region need to overcome the challenges facing them to share peace and prosperity. An unjust decision by the South Korean judicial authorities could seriously affect relations with Japan. Japan's request to the South Korean government to extradite a Chinese suspected of setting fire to the Shinmon main gate of Yasukuni Shrine was turned down by the Seoul High Court, which called the arson attack a "political crime." The suspect is now back in China. Beijing openly requested that the suspect be repatriated to China, arguing that he should be handled like a "political prisoner." The South Korean decision to comply with that request indicates the country shows more consideration to China than Japan. It was natural for Prime Minister Shinzo Abe to say: "South Korea effectively ignored the bilateral treaty on extradition. It is extremely regrettable and I would like to strongly protest." The suspect was sentenced to 10 months in South Korea for throwing a Molotov cocktail at the Japanese Embassy in Seoul in January last year. During questioning, he reportedly confessed to setting a fire at Yasukuni in December 2011. Asked for a motive for the series of attacks on Japanese facilities, the suspect reportedly said his grandmother was a so-called comfort woman and he was angry over the Japanese government's views on history and its responses. The Seoul High Court said Yasukuni enshrines war criminals convicted for leading a war of aggression and the shrine is a "political symbol" as it is used as a national facility and is visited by cabinet ministers and other people. The court ruled that the arson attack on Yasukuni was a crime with the political purpose of changing Japan's policies. It turned down extradition on the grounds that the arson was tantamount to a "political crime." This is a surprising ruling, as it equates the exoneration of an arsonist with absolving a person who commits a serious crime in the name of a political cause based on historical events. This is the same as saying that anything can be done to Yasukuni Shrine. We are concerned that the court ruling may induce other people to commit similar crimes. A huge gap exists in the views on historical events between Japan and South Korea. However, it is totally unreasonable to imply that arson is a political crime. The South Korean judicial authorities have ruled on other historical issues. In August 2011, the South Korean Constitutional Court ruled it was unconstitutional for the South Korean government to have failed to make an effort to solve the issue of compensation rights of former comfort women. In May last year, the South Korean Supreme Court ruled that the individual compensation rights of former Korean laborers who were brought to work at Japanese companies during World War II were valid. The issue of such compensation rights was settled "completely and finally" under one of the bilateral agreements concluded when bilateral relations were normalized. The Japanese government should continue to firmly maintain this position. With the change of government, positive signs have emerged for the nation's prospects for this year. Since just before the administration of Prime Minister Shinzo Abe was launched, the super-strong yen has weakened and stock prices have jumped, apparently reflecting high hopes for the Abe administration's economic measures. On Friday, the first trading day of 2013, most stocks on the Tokyo Stock Exchange climbed, recovering levels seen before the Great East Japan Earthquake of March 11, 2011. Can Abe restore a "strong Japan" and put an end to the nation's revolving-door politics, which has seen the prime minister change about once a year? If the public's high hopes turn into disappointment, the Abe Cabinet is expected to face a strict verdict in the House of Councillors election scheduled for July. The prime minister must produce results swiftly. Referring to 2013 as the Year of the Snake, Abe said at his first press conference Friday: "The snake symbolizes prosperous business. I'll work hard for the nation so we can take a big step forward toward boosting and reviving the economy." His government plans to draw up emergency economic measures and submit a large-scale supplementary budget for fiscal 2012 to the Diet. It has also said it intends to work out bold monetary measures in cooperation with the Bank of Japan. First of all, the government needs to put the teetering economy on a recovery track. It reportedly aims to decide on a draft budget for next fiscal year by late this month. It must ensure smooth Diet deliberations and prevent delays in implementing the budget. We want the government and ruling parties to make every effort to pass the budget early. Meanwhile, the Abe administration has announced in rapid succession a series of policy changes. They include dropping an income guarantee for individual farming households and a review of a program to end tuition for high schools. Both are key measures of the Democratic Party of Japan. We regard the new administration's decision to correct such handout measures as reasonable. However, it would be problematic if the Abe administration continued handout policies in different forms. It is vital for the government to recreate a growth strategy to boost the nation's industrial competitiveness. Taro Aso, deputy prime minister and finance minister, has indicated the new government has no intention to stick to the 44 trillion yen cap on new bond issuance set under the DPJ-led government. However, he should not forget the government needs to balance its policy measures with fiscal discipline. During the ordinary Diet session that will start late this month, the Abe administration will be tested on its ability to manage the Diet, which will continue to be divided at least until the July upper house election. The government and ruling parties should focus on passing legislation by trying to form alliances with opposition parties on a policy-by-policy basis. One task that cannot wait is reform of the electoral system of the House of Representatives. The Liberal Democratic Party, New Komeito and the DPJ have agreed to discuss drastic reform, including a reduction in the number of lower house seats. With regard to the current system that combines single-seat constituencies and proportional representation blocs, many problems have been pointed out, such as the huge gap between votes and seats won. These problems tend to destabilize politics. Political parties should start to discuss as quickly as possible how to improve the current electoral system. If they cannot discuss the issue because of partisan interests involved in the electoral system, we propose a forum be established for experts to discuss the matter. Meanwhile, the Abe administration faces many pending issues that require coordination within the LDP, between the ruling and opposition parties or with local governments. One of the issues is participation in negotiations on the Trans-Pacific Partnership free trade framework. The LDP is divided over participation in the TPP talks due to strong opposition from agricultural organizations. With this in mind, LDP Secretary General Shigeru Ishiba said, "We have to decide some kind of party policy [on the TPP issue] before the House of Councillors election." However, it will be too late if the LDP does not take the issue seriously, saying only it must come up with a policy "before the upper house election." It is urgent for the LDP to coordinate opinions within the party with the aim of joining the TPP talks. Japan will not get anywhere unless it sits down at the negotiating table with the 11 countries that will participate in the TPP. The government should exercise its negotiation ability and promote the creation of trade rules that will serve the national interests. For economic growth, it is indispensable to restart idled nuclear reactors once they have been confirmed to be safe. The Abe administration must clear many hurdles such as persuading local governments hosting nuclear power plants. If the ruling parties win a majority in the upper house election, an environment will be created in which they can take their time to face such issues as constitutional revisions and exercising the right to collective self-defense. At that time, the LDP's ability to coordinate opinions with Komeito will be put to the test again. In spring last year, the LDP compiled a second draft of its proposed constitutional revisions. Almost all LDP members are in step as far as exercising of the right to collective self-defense is concerned. Komeito remains cautious about both issues. However, the security environment surrounding Japan has been drastically changing. China has intruded into not only the territorial waters off the Senkaku Islands but also the airspace above them. North Korea successfully launched a long-range ballistic missile capable of reaching the U.S. mainland. We must not look away from these crises. The Constitution, which cannot deal with the ever-changing situations at home and abroad, needs to be revised. Also, it is quite right to take measures to strengthen the Japan-U.S. alliance. The Abe administration must maintain the political power to boldly tackle constitutional revisions and exercising the right to collective self-defense. Europe's protracted fiscal and financial crises appear to have escaped their worst phases, but there is no knowing what lies ahead. Indications are that difficult times for the world economy will most likely continue this year as well. The European crisis must be overcome by every possible means, to enable the global economy to get on track for a full-fledged recovery. The World Economic Outlook released last autumn by the International Monetary Fund reduced its world growth forecast for 2013 to 3.6 percent after inflation, and it seems the pace of the recovery in the world economy will remain sluggish. The biggest factor behind this is that growth in the eurozone will likely be a meager 0.2 percent from the year before, meaning growth will be close to zero. Some observers even say Europe's growth may fall below zero for the second consecutive year. The European crisis, which has lasted for more than three years, has had a harmful influence on the economies of Japan, the United States and other countries, while slowing growth in newly emerging economies, too, as shown by conspicuous declines in China's exports to Europe. As long as these negative chain reactions continue, there can be no prospects for the world economy to regain its buoyancy. It was a welcome development that the European Central Bank and the European Union beefed up steps, though belatedly, to contain the crisis from last autumn through the year-end. The ECB has decided to employ the extraordinary measure of purchasing government bonds of crisis-stricken countries without limitations, in addition to a bold monetary easing policy. As a permanent safety net for extending assistance to crisis-ridden nations, the European Stabilization Mechanism has been launched. On top of this, an additional bailout package for Greece has also been put in place. It is highly commendable that Europe's credit unrest has eased and the market has begun to regain stability. Optimism that the eurozone crises have ended, however, should not be allowed. For one thing, Greece has yet to emerge from a serious recession. The path to slashing its government debts as planned is very treacherous. In Spain, the bursting of a property bubble has caused banks to suffer from a mountain of nonperforming loans, while government finances have kept deteriorating. It is problematic that the Spanish government is still hesitant about whether to officially request assistance from the EU. As Italian Prime Minister Mario Monti has expressed his intention to step down, a general election scheduled for February may be turbulent. Under the circumstances, every European country must avoid the folly of easing measures to cope with the crisis. In order not to rekindle the crisis, steady, continuous efforts should be made to rebuild government finances. At the same time, policies should be implemented to place priority on reinvigorating business activities by making the most of the framework for extending assistance to countries in trouble. Efforts to deepen the integration of the eurozone must continue in order to solve its structural problem of having a single currency but different fiscal policies among member countries. A policy to unify banking supervision in the region has been decided. However, concrete measures for fiscal integration have been postponed. The key to the issue is what Germany decides. Within the European economic giant, there is strong opposition to giving further assistance to southern European nations struggling with fiscal crises and fiscal integration. Germany's general election in autumn this year will be a focal point for whether the eurozone can deepen its integration. For U.S. President Barack Obama, whose second term in office is to start soon, fiscal rehabilitation and economic revitalization will continue to be weighty pending issues. Negotiations between Obama and congressional leaders to avoid the fiscal cliff, a term describing the expiration of major tax cuts and large automatic spending cuts, went into the New Year. However, they finally reached an agreement on an extension of tax cuts for middle-class earners and a tax increase for the rich. Avoiding falling off the cliff brought relief to financial markets. However, there are many issues still pending, such as drastic fiscal rehabilitation measures and an increase in the U.S. debt ceiling--the quota for issuing U.S. government bonds. As the confrontation between Obama and Congress is still dragging on, there will probably be twists and turns ahead. The U.S. economy has been on a moderate recovery path with the housing market picking up. However, the unemployment rate is still hovering at a high level of just under 8 percent, and thus it is still difficult to find jobs. In a rare move, the U.S. Federal Reserve Board has decided to keep interest rates near zero until the jobless rate is stabilized at 6.5 percent or below. We hope the U.S. government and the FRB will strengthen their cooperation to improve employment and realize a powerful U.S. economy. Expectations are running high for the "shale gas revolution," development of the nontraditional natural gas that has been going on in North America. When shale gas is used on a regular basis, the U.S. manufacturing industry likely will revive, making U.S. industries more competitive. In China, where real economic growth for 2012 is suspected to have gone below the 8 percent target linked to sustaining sufficient employment levels, the pace for economic recovery is slow. Economic growth in China this year is expected to stay around 8 percent. After the Lehman Brothers shock in autumn 2008, the Chinese government realized a V-shaped recovery leveraged by large-scale economic stimulus measures, serving as a locomotive for the global economy. However, there are no signs that China will come up with similar large-scale economic measures this time. A key issue for China is transition from an economy excessively dependent on exports to one led by domestic demand such as individual consumption. If Japan-China relations get chillier, due to intensification of the confrontation between the two countries over the Senkaku Islands in Okinawa Prefecture, Japanese companies will stop investing in China, an outcome that would also seriously affect the Chinese economy. Chinese leaders must recognize anew the importance of stabilizing bilateral relations. Thank you for writing essays on our editorial about the issue of integrated tax and social security reform in Contemporary Social Studies classes. The editorial titled "Do adults understand?" was published on Dec. 28, 2011. It was written from the point of view of a member of a future generation who was lamenting the fact that their generation would be forced to pay for the huge debt the Japanese government had piled up to finance its spending. When we responded to your essays on the article, you all again took the trouble of writing what you felt. We were very happy because we found in this correspondence great hope for the future of this country. One of you wrote, "It is important for us all to think about 'what today's adults have failed to do' instead of simply complaining about their selfishness." What is it exactly that today's adults have failed to do? Sociologist Shinji Miyadai offers good insight into this question. "Japan is a society where people complain and leave matters to others, not a society where people take on matters and think about them," he writes. * It is the responsibility of bureaucrats and politicians to make policy decisions on such difficult issues as social security and tax. All we ordinary people can do is gripe about how things stand. * We left the problem for politicians to handle when we cast our ballots at the polls. In the end, people in power will work things out, right? For many years in Japan, the amount of money the government spends and distributes has been bigger than the amount of money collected by the government through taxes. To make up the difference, the government has been piling up more and more debt. Obviously, however, the government cannot continue running up debt forever. But it is not easy to increase taxes, either, whether the consumption tax or other levies. Meanwhile, the number of elderly people who need social security services like nursing care and pensions continues to grow at an alarming pace. It seems that we can no longer afford to leave this important problem for people in power to deal with. As a first step toward abandoning this attitude, let us learn how the social security system works. When you look around you, don't you find that there is a growing number of lonely people in your neighborhood? Take old people, for instance. As they grow physically weaker, they find it increasingly difficult to go out. They also feel sad as their memory dims, making it harder for them to keep following what is happening around them. Young people who have quit their jobs or left school usually see their circles of acquaintances shrink, and those who have withdrawn from society after being bullied at school must endure solitude. Parents of young children feel lonely and frustrated if they have to spend all of their time at home with their children. The most unfortunate thing that can happen to a person is probably to become isolated from society. It is, therefore, vital to help people avoid such a situation by building ties with others. Your writings included some heartening comments on this problem. One of you wrote, "Such simple things will help. I can probably do them in my daily life." Another said, "I think more people will become happy if we fix the problems one by one." "I have realized that my surroundings are also part of the country," commented a third. The spirit of mutual aid and support expressed in these remarks is the very foundation of social security. If we understand the importance of mutual aid and support, we should first do what we can do immediately, either on our own or together with our neighbors. Then, we need to contribute money to pay for the professional medical and nursing-care services that some people need. But people generally develop a tendency to think from a standpoint of profits and losses as they grow older. Many adults say they are having a hard time trying to make ends meet and demand that people in better financial conditions pay for social security. Others say they deserve to receive more aid because they are so badly off. Still others argue that people should not be given a "free ride" under the system of mutual support. There are various conflicting opinions on social security issues, and it is difficult to find solutions acceptable to a majority of people. "Politicians who appear on TV don't listen to what others say at all once they start stating their own opinion," one of you wrote. That's exactly true and unfortunately so because working out compromises between people with conflicting opinions and interests is what politics is all about. Some politicians promise to improve the social security system without increasing the financial burden on the public. But there can never be such a magic solution to the problem. The only effective way for us to tackle the problem is to stop leaving the work to politicians and bureaucrats and start considering and discussing it as our own challenge. We may have to set aside our wishes and opinions in consideration of others from time to time. We also need people who listen carefully to what others say and carry out what they can do quietly. "I'm not good at making arguments and usually do nothing but listen to other people's opinions. But it seems that I have to express my opinions on important issues," one of you wrote. That's right. We urge you to pluck up your courage and voice your opinions on issues that you think are important. Everybody has a role to play. If we roll up our shirt sleeves and get down to tackling the situation, we will probably be able to work out solutions to the problems through constructive discussions. "I don't think there are any politicians who are trying to make things worse," one of you said. That's also true. You should act on this belief and start by doing what you can do. If you become voters who recognize the power and importance of mutual support among members of society, politics of this nation will no doubt begin to move in the right direction. That's because politics mirrors what is happening around us. We have high expectations of all of you. Japan's rapidly aging population and chronically low birthrate have cast a dark shadow on the nation's social security system--it has become unclear whether pension, health care, elderly care and other services can be maintained in the future. Due to anxiety about the future, the public has become caught up in a mentality to curb spending and increase savings, which has been one reason for the economic slump. We urge Prime Minister Shinzo Abe and his Cabinet to speed up their efforts to rebuild public trust in the social security system. The Cabinet must give top priority to steadily implementing integrated reform of the social security and tax systems, centering on raising the consumption tax rate. Additional tax revenues will become a funding source for basic pension payments, health care and other welfare services. It will be a major step toward maintaining the social security system. However, it is obvious that such reform--although necessary--is not sufficient to resolve the problem. It will be crucial to implement steps to turn around the low birthrate as a part of long-term reform based on a farsighted viewpoint. Japan's social security programs have so far provided solid services to the elderly, such as substantial pension payments. On the other hand, measures to tackle the low birthrate have been poor. The state coffers are expected to collect an additional 13.5 trillion yen due to the consumption tax increase, and under the integrated reform, 700 billion yen will be used to support child-rearing. However, the money to be spent on child-rearing is nowhere near what was spent by France, Sweden and other nations that successfully conquered their own low birthrate problems. Japan's most recent total fertility rate--the average number of children each woman has in her lifetime--was 1.39, one of the lowest among advanced nations. Due to the low birthrate, the nation's population is expected to drop by more than 30 percent over the next 50 years, and by about two-thirds in 100 years. If the government is unable to increase the birthrate, the labor force will drop significantly. As a result, the working generation will have to bear a heavier burden to keep social security programs running. It also will hurt economic growth and diminish social vitality. Many women are still forced to quit their jobs when they have babies. This situation must be changed. Concern about losing their jobs has become one reason some women hesitate to have children. The government must urgently create an environment in which women can work without anxieties, such as by boosting child care services and increasing income compensation for women taking child care leave. During a recent press conference, Abe said one of his administration's tasks is to make Japan a nation where more women can have successful careers and feel comfortable having and raising children. During the administrations of the Democratic Party of Japan, 10 politicians held the post of state minister for measures for the declining birthrate in three years and three months. We urge the Abe administration to learn from this awful example and powerfully promote measures to rectify the low birthrate. The increase in nonregular workers has also become another problem for social security. The ranks of nonregular workers, such as part-time and temporary workers, recently exceeded 18 million--35 percent of the total workforce. Many businesses do not apply social insurance programs--such as pension, medical and employment insurance--to their nonregular employees. The increase in the number of workers not obliged to pay social insurance premiums undermines the foundation of the social security system that is sustained by these premiums. There is wide concern these nonregular workers will face severe lifestyle constraints if they lose their jobs or become ill, and will end up being entitled to only a small pension--or no pension at all. Nonregular workers are more likely to be axed first in corporate restructuring. Many find it difficult to get married due to financial reasons. The proportion of married nonregular workers in their 30s is about half that of regular employees in the same age bracket. This causes a vicious circle that accelerates the decline in the birthrate. Expanding employee pension plans and social insurance programs to nonregular workers and correcting the gap in wages between regular and nonregular workers are major challenges. At a news conference after his recent appointment as health, labor and welfare minister, Norihisa Tamura said his ministry "will also deal with the employment issue wholeheartedly" to revitalize the economy. This is a reasonable statement. We hope the labor ministry will knuckle down to the task of improving the treatment of nonregular workers. To ensure the social security system is sustainable, every member of the population--young and old, regardless of generation--will need to bear a burden commensurate with their financial abilities. In particular need of an overhaul is the pension system. Tax deductions from public pensions are considerable, so pensioners pay far less tax than do employees whose income is around the same as that of pensioners. It will be necessary to rectify this gap by strengthening taxation on pensioners. This is not the sole problem. Patients aged 70 to 74 have been temporarily allowed to pay 10 percent of their medical bills from their own pocket, instead of the legally set rate of 20 percent. As a consequence, the proportion of income people in this age bracket use for medical expenses is smaller than that used by people in age groups on either side of them. We think the burden should be raised to 20 percent for people in the 70-74 bracket, as is legally provided for. Under the current nursing care insurance system, service recipients who need only relatively little help pay 10 percent of the costs--the same level as people requiring a higher level of assistance. Consideration must be given to raising the rate shouldered by the former. Cuts in pension benefits will be unavoidable. A system was introduced in 2004 to keep the growth rates for public pensions below those for wages and prices. But the system has never been enforced. It should be implemented as early as possible. In reality, however, there are large income gaps among pensioners, and many of them rely on basic pension benefits for living expenses. So when the consumption tax rate is raised, it will be crucial to implement measures for low-income earners, such as introducing lower rates for daily living necessities. 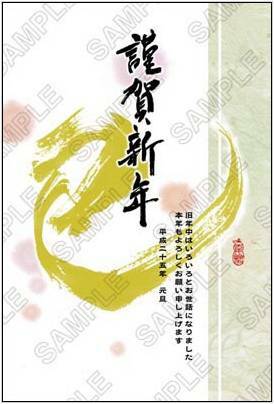 2013 will be a year of new approaches for Japan, and we believe the nation's new ways of being will come in two facets. The first: Japan's latent economic power. Economic policy will grapple with ways to enlarge the economic pie, and then decide how that pie will be sliced. The previous Democratic Party of Japan (DPJ) administration put the most emphasis on the latter half of that equation, distributing generous support to young people and those in agriculture in the form of child allowances, free high school tuition, and farming household subsidies. The newly minted Liberal Democratic Party (LDP)-led administration of Prime Minister Shinzo Abe, on the other hand, is intensely focused on the size of the pie, championing sweeping monetary easing and public investment under the name of breaking away from deflation. Of course, just about everyone ought to be happier if there's more pie to go around, and here at the outset we have no intention of speaking ill of the idea. However, we must point out that it's not as if preceding administrations have done nothing towards that goal in the 20 plus years since the economic bubble burst. They pushed zero interest rates, went ahead with major monetary easing measures of their own, and poured money into mostly public works projects as emergency economic measures on numerous occasions. In the end, quite similar strategies were piled one atop the other, amassing a quadrillion yen national debt in the process. Behind Japan's lack of growth are its low birthrate and aging population, the rise of emerging economies, and environmental limitations on our supply and use of energy and resources. These are all structural causes, and we want to see the Abe administration tackle them head-on. Japan's population is greying at the fastest rate in the world, and already one in four Japanese is 65 or older. This fact makes a well-considered and solid plan to deal with the aging society especially important. Furthermore, to create an environment where young people are confident they have the financial wherewithal to have and raise children of their own, we believe it's time that a part of our limited economic pie -- employment and income -- be shifted to those young people from the older, wealthier segment of society. What we'd like people to bear in mind here is the importance of mutual concessions and reciprocity. We need to think that, in yielding to another, we ourselves are blessed and enriched. We also need to make this a mutual process, repeated many times. To make use of Japan's young people to the full extent of their abilities will in turn revitalize all of society, the benefits of which will flow back to the elderly. Even if the economic pie does not grow, can we not create such a positive redistribution cycle? To that end, we'd like to see some of the DPJ's policies that never got off the ground pushed forward by the new administration. As Japan has held to its postwar focus on light armament and economy-first policy, its economy has managed to survive the calamities of the currency crisis, the oil shock and the end of the bubble economy. Now is the time to use the economic potential so evident in this resilience to shift gears, to deal with the mature economy that Japan enjoys. The spirit of reciprocity must not only be applied to intergenerational relations, but to foreign relations as well. The second facet of Japan's new way of life in 2013 lies here, in the power of peace bound up in a national government that has never pursued war. The greatest issue facing Japanese diplomacy is how to deal with the rising power of China. There is talk in international circles that Chinese incursions into Japanese territorial waters and airspace over the Senkaku Islands dispute could lead to an armed clash. As a country that hasn't fired a shot in anger in some 67 years, all Japanese must now reconfirm the peace power of our nation and discuss how we can avoid Japan-China relations from worsening. Japanese postwar pacifism is built on two main premises: a vow grounded in reflection on World War II to never again launch a war of aggression, and on the deterrent embodied in the Japan-U.S. Security Treaty. Japan strives to solve all its international disputes through dialogue. Of course for the sake of deterring potential enemies, Japan must prepare itself militarily. For this reason, we must reconfirm the meaning and the function of the security treaty. On top of this, we believe it important to study the history of the 1920s. The Taisho period (1912-1926) saw the formation of two major political parties, and the national discourse rang with the voices of democracy. In the end, however, party politics couldn't protect the peace. The Great Kanto Earthquake of 1923 combined with a global financial crisis sent the Japanese economy into turmoil. Calls for imperial expansion on the Asian continent intensified, and bellicose, xenophobic hardliners drowned out the good sense of those calling for international cooperation and compromise. Militarism took over, and in the name of supporting Imperial rule, the government led our nation into reckless war. What our very own history teaches us is that when two countries cannot compromise over a territorial or sovereignty dispute, useless escalation follows. We believe Japan must discard cheap anti-foreign sentiment and seek big-picture international cooperation. Japan is doing its best now to deal with the Senkaku dispute with China through dialogue based on legal principles. China, meanwhile, which had it examined the history of the Senkaku dispute ought to have shelved its claims to the islands, is obviously trying to change the present reality with a show of sheer power. Japan must explain carefully and persistently what's going on to the world and to Asian nations in particular, and thereby make friends and allies in its confrontation with China. We should not end up alone in this. With China itself, we must constantly reassert the merits of the strategic partnership of mutual benefit. First of all, Japan must tolerate the tension involved in dispensing with any hardline talk and sticking to the status quo. A chance for compromise will emerge from therein. If, for example, China stopped sending government ships to the waters around the Senkakus; if Japan admitted that the islands dispute was in fact a diplomatic issue, then the parties could finally sit at a table and talk about it. We'd like to see leaders from both China and Japan show resourcefulness and courage. Distributing the economic pie and the continuation of peace in East Asia -- for these things we call for a spirit of reciprocity that will make this era one of conciliation. If we look back on all the steps we've taken since the end of World War II, we have built up all the power we need to respond to the demands of the postwar era. While it is undoubtedly the politicians who will have to work the hardest to put that power to use, we would like all Japanese citizens to remember once more that their jobs are given to them by us. Japan stands at a crossroads of whether it can maintain its national strength and retain its status as a major power. National strength is the total power of a country, comprising such elements as economic and military might, and technological prowess. The primary task of the administration led by Prime Minister Shinzo Abe is to maintain and enhance Japan's strength through political stability. Boosting national strength will lead to improved social security systems, including pension and health care programs, and reinforce national security policy. That will also shore up disaster management measures and solidify social infrastructure, while accelerating reconstruction from the Great East Japan Earthquake. Political stability is also important for Japan to regain its voice and presence in the international community. As former Prime Minister Yukio Hatoyama created strains in the Japan-U.S. alliance while he was in office, Japan's relations with China, South Korea and Russia also deteriorated. Reorganizing the nation's diplomatic strategy is a matter of urgency. The Abe administration's biggest political objective this year is for the Liberal Democratic Party he leads and its coalition partner, New Komeito, to win a majority in the House of Councillors election scheduled for this summer, thereby bringing an end to the divided Diet. Depending on the outcome of the election, Nippon Ishin no Kai (Japan Restoration Party) and Your Party might join the ruling coalition. But this will be premised on the assumption that it will add stability to the administration. If Abe's administration retains a majority in the upper house, the nation's political arena will enter a "stable phase," as there will be up to three years before the next national election is to be held, and more than two years before the next LDP presidential election. This will make it possible for the administration to tackle its major political agenda and pending policy issues without being tripped up by resorting to populism. For instance, the administration will be able to propose the enactment of a "Basic Law on National Security" that would enable the nation to exercise its right to collective self-defense, although the LDP will need to coordinate views with Komeito on this issue. It is crucial for the government to approve the use of the right to collective self-defense and to reinforce the Japan-U.S. alliance so it can deal better with the nuclear and missile development of North Korea, and tensions that have emerged with China since the government nationalized some of the Senkaku Islands last year. We hope ruling and opposition parties hold thorough discussions and reach a common understanding on the issue. In last month's House of Representatives election, the LDP and Komeito together won more than two-thirds of the seats in the lower house. This will enable the coalition to have bills voted down in the upper house enacted by a second vote in the lower chamber. The fact of the matter is that voters opted for stable politics and politics that can move forward, under the administration of the LDP and Komeito, both of which have extensive experience in managing the government. Further political dithering can be averted now that the DPJ has been kicked out of power. In addition, it may be said that political instability that could have arisen if a strong third political party had joined a coalition government has been prevented. The Democratic Party of Japan was demoted to an opposition party after suffering a crushing defeat in the general election, but it still has the second-largest number of seats in the lower house and remains a party with a plurality in the upper house. For the time being, the LDP-Komeito coalition government will need to obtain cooperation from the DPJ while exploring ways of forming a partial coalition involving third political forces. The DPJ is expected to step up its confrontational stance toward the Abe administration in a bid to regain ground in the upper house election set for this summer. In the 2007 upper house poll, the Abe-led LDP suffered a bitter defeat, handing the opposition camp control of the upper chamber and creating a divided Diet. Recent years have seen repeated cases of the party that won big in the lower house suffering a setback in the next upper house poll due to a swing in public support. Abe must maintain disciplined management of his administration by diligently seeking to build consensus. First and foremost, he must tackle the tasks of resuscitating Japan's economy and restoring economic growth. With price increases being held to almost zero, the nominal growth domestic product that reflects more closely sentiment felt by households and businesses has declined by 40 trillion yen compared with five years ago. Consequently, the nation's economic size is stuck at about the same level as it was two decades ago. All possible policies must be carried out to correct the super-strong yen and defeat deflation so the nation can achieve stable growth. Abe said he will try to lift the country out of deflation by implementing three core policies--credit easing, fiscal stimulus and a growth strategy. His thinking is reasonable. The yen has recently weakened against the dollar and stock prices have risen. Setting a 2 percent inflation target, the prime minister has called for concluding a policy agreement between the government and the Bank of Japan to carry out drastic monetary easing. The central bank plans to set an inflation target this month. Stronger cooperation between the government and the central bank will be called for. Masaaki Shirakawa's term as central bank governor will expire in April. Abe has expressed his intention to appoint as Shirakawa's successor a person who shares his policy of setting a 2 percent inflation target. Appointment of the central bank governor requires Diet approval. Under the divided Diet, if Abe's appointee is rejected by the opposition-controlled upper house, the post could be left vacant. We urge the ruling and opposition parties to work together to avoid this possibility. Fiscal action also is important. The government has been compiling a supplementary budget for fiscal 2012 in parallel with the fiscal 2013 budget. The government will decide in autumn whether to raise the consumption tax rate from the current 5 percent to 8 percent in April 2014, in line with integrated reform of the social security and tax systems. One factor to be taken into account in making this decision will be GDP growth for the April-June quarter. Abe indicated the tax hike could be put off, depending on the GDP figure. For the tax increase to be surely implemented, we hope the government takes all possible measures to defeat deflation and shore up the economy, by compiling a large supplementary budget worth about 10 trillion yen. In the ordinary Diet session, the fiscal 2013 budget likely will be passed as late as sometime after the Golden Week holiday period in May. It will be inevitable to compile a stopgap budget. To ensure budgets can be seamlessly implemented, it is essential to create an environment in which ruling and opposition parties can cooperate. To promote a growth strategy, the government needs a "control tower" with strong authority and coordination capabilities. We highly regard the prime minister's reinstatement of the Council on Economic and Fiscal Policy and plan to integrate its functions with the newly established "headquarters for Japan's economic revitalization." We want productivity in the private sector to be increased through deregulation in various fields and investment in such growth areas as the environment and medical and nursing care services. Securing electricity cheaply and stably also is essential for growth. Due to the DPJ's policy direction of weaning the nation off nuclear power, reactors at nuclear power plants, whose output accounted for 30 percent of the nation's power generation, were shut down one after another. Of the 50 commercial reactors in Japan, only two at Kansai Electric Power Co.'s Oi plant are operating. Thermal power generation has been ramped up to cover the severe electricity shortage. Imports of liquefied natural gas and other sources have surged, causing national wealth totaling about 3 trillion yen per year to flow out to countries that produce these energy sources. Many electricity utilities, including KEPCO, have fallen into the red and filed for approval to increase their rates. The steel industry has estimated it would face additional burdens of more than 90 billion yen if electricity bills were raised by KEPCO and others. This would accelerate the hollowing out of Japan's industries and inevitably affect the people's daily lives, including employment. We consider it necessary to restart idled nuclear reactors after their safety is confirmed under new safety guidelines to be established by the Nuclear Regulation Authority. In the latest lower house election, the LDP, which criticized the "zero-nuclear policy" as irresponsible, scored a landslide victory. Now, the Abe administration will be required to work out the best mix of power sources--including nuclear power--as soon as possible. Excluding hydropower, renewable energy, such as solar power and wind power, currently accounts for only a little more than 1 percent of Japan's entire power generation. It is still premature to expect renewable energy can be immediately used as a main power source that can replace nuclear power. More than 100 trillion yen will need to be invested on steps to save energy and expand renewable energy. In reality, the public will be forced to shoulder this cost in the form of higher power bills and taxes. The world will continue using nuclear power and building more reactors. China, in particular, has put more than 10 nuclear reactors into operation and plans to build at least 50 more. It will be necessary for Japan to firmly maintain its nuclear technology, which is among the best in the world. Abe has expressed determination to build safe nuclear power plants. To secure and nurture talented human resources in this field, the nation should not exclude the option of building next-generation nuclear reactors. From the standpoint of the country's growth, it will be desirable to promote exports of nuclear infrastructure. Japan's nuclear power policy also will affect its defense capability, which centers on the Japan-U.S. alliance. Under the Japan-U.S. nuclear power cooperation agreement, Japan is allowed to possess plutonium, which can be converted to nuclear weapons. But the principle to end the use of nuclear power, which was decided under the administration led by former Prime Minister Yoshihiko Noda, would mean that Japan will lose not only this privilege but also its status as a U.S. partner for promoting the peaceful use of nuclear power and nuclear nonproliferation. The Abe administration has good reasons to review the country's nuclear and energy policy. Generating sustainable growth will require harnessing demand from overseas nations such as those in Asia. As such, participation in the Trans-Pacific Partnership multinational free trade framework has been a pending issue since the DPJ-led government was in power. Member nations of the TPP, which aims to promote free trade under U.S. initiatives, plan to conclude their negotiations by the end of this year. Japan must get involved in the process of drawing up rules on eliminating and reducing tariffs as well as trade and investment to reflect its national interests. We urge the prime minister to announce Japan will take a seat at the TPP talks as soon as possible. By steadily working on these policy agendas for regaining Japan's national strength, the new administration will gradually be able to restore public trust in politics. We hope this year will see Japan solidify its footing and become more assertive.